Hollis Youngner, 37, has late-stage cancer, but it does not define her. 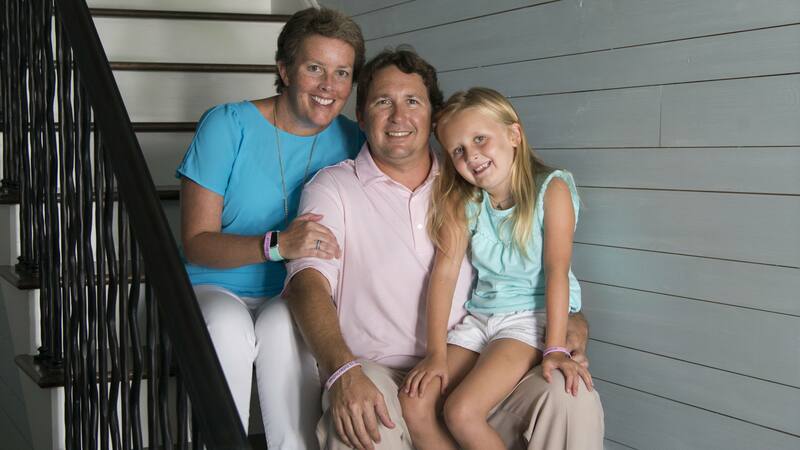 Her greatest inspiration is her daughter, Hayes, but Hollis has become an inspiration for thousands. The life and loves of Hollis Youngner, 37, pulse throughout her home in St. Simons Island, Georgia, on a sunlit summer morning. On the dining room table, her 7-year-old daughter, Hayes, pieces together an intricate jigsaw puzzle. On a nearby chair, amid curios on the walls and in the living room from Hollis' career as a teacher and her survival of breast cancer, her parents, Pete and Cappy Livezey, recount the story of how they first met. A few moments later, her husband, Josh, appears from his office downstairs to enjoy a takeout lunch from the family's favorite bodega. Who could blame Hollis for savoring a moment like this? A little more than three years ago, a team of critical care physicians, nurses and other staff at Mayo Clinic worked in what her father calls "controlled chaos," trying to restart her heart. For 45 minutes, the team performed CPR on Hollis and delivered other treatments to unclog a pulmonary embolism caused by cancerous fluid around her heart.